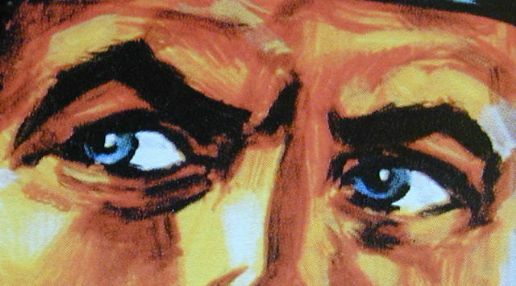 Wanted - Action Men etc! 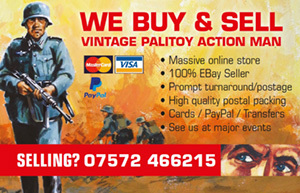 If you have any unwanted vintage Action Man or other period figures for sale or trade we please ask you to email us at eagleeyesactionstation@btconnect.com with good quailty photos and a brief description of what you have. We can then contact you with an offer. 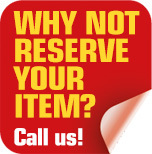 If agreed upon you will then need to send your parcel to the address below for our final approval. We recommend you send your parcel using a trackable service as we cannot be held responsible for items lost in transit by postal services. 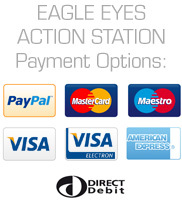 We can pay you by cheque, Paypal or alternatively by a credit note to be spent at our webstore.